I'm Davit Masia founder of Kronbits.com and i made games for windows, mac,linux, android/iOS and android consoles! Hi! finally i added an Early Access builds with 11 playable levels. You can play the one level public version online(HTML5) or download for Win/mac/Linux. Hope you like it! 😉 . Had a dream a weeks ago about playing a game, so when i wake up i made the design i remembered on my notebook and started to develop and tweet each step/progress. There are more than 60 Tweets talking about the game with photos, videos and all problems/ideas i had until now. My idea is made a Pong game on you need to move the paddles entering the direction and speed and the ball moving in real time. A Text-Turn based game . Depending on the speed, you spend a % of energy, so you will need to spend only the necessary to hit the ball. The one most accuracy in each turn will have more energy to spend and move the paddle every time, but if you waste the energy adding too much speed you soon will get in trouble to not have enough energy to move and hit the ball. Every turn you will get extra energy and if you end the turn without move you will get bonus energy. 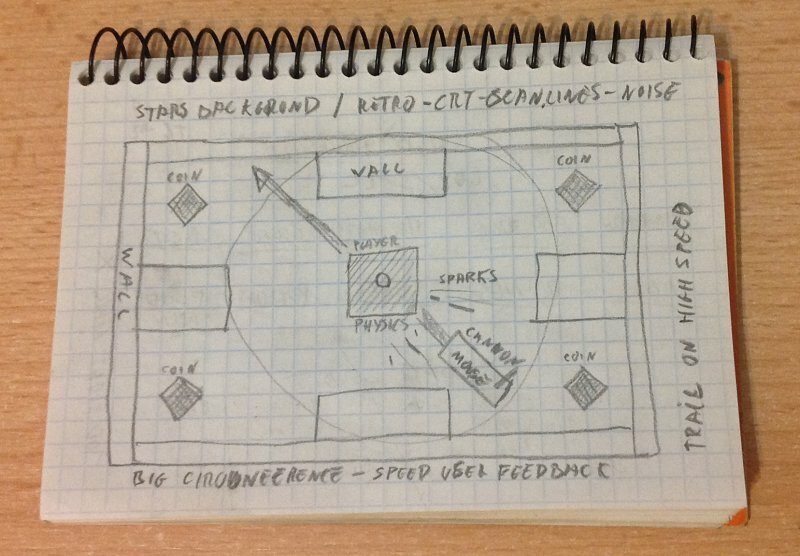 This is an actual mockup of the idea (Click in the image to see the full screen version). Presing arrows change the paddle direction (Up/Down/Left/Right) and presing the numbers will set the speed and enter will realize the action and will show the energy used (“Player -25%”). The frictions means how much the paddles will move with a % of energy. With more friction more energy you will need to spend and more shorter will be each point. With a low friction practically with a few speed points you will get from other to the other side. The gravity is mainly to make the ball more unpredictable(And fun?). Also each Xseconds the speed of the ball will be increased. Still nothing coded and i don’t know if this will be fun in some way but i guess worth a try, at least for curiosity and well, for participate in my first LDJAM 😛 . The game is finished and released with a total of 60 levels in the full version and 15 levels for the demo. Actually the platforms released are Windows and Mac. Now working on the full version for the Flash and OUYA. Linux version when somedoby send me a wrapped using Wine and thinking if finally port to Android/iOS mobile/tablets. You can buy the game at itchio by only 2.99. Here a Youtube video with the first 15 levels included in the demo. If you can see all the Inkanians process from the mockup until the game release you only have to visit this: http://dev.kronbits.com/tagged/inkanians . 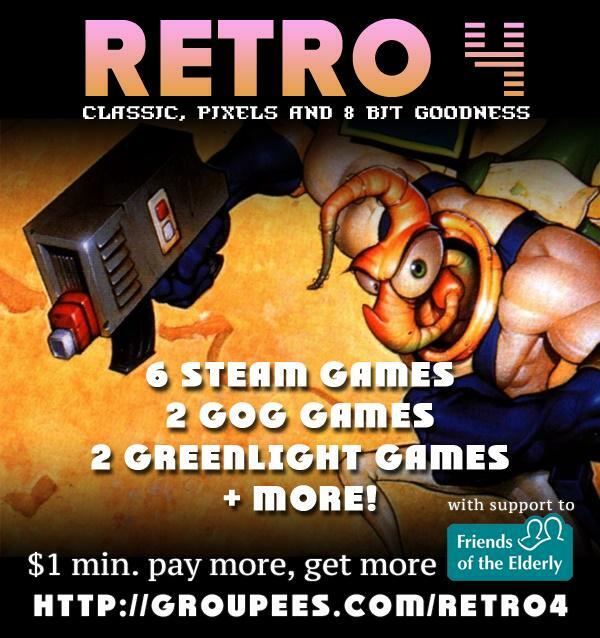 My game Mighty Retro Zero appears inside the last Groupees Bundle Retro4 !! 😀 . Also after 4 days in the bundle, Mighty Retro Zero has benn Greenlit!! 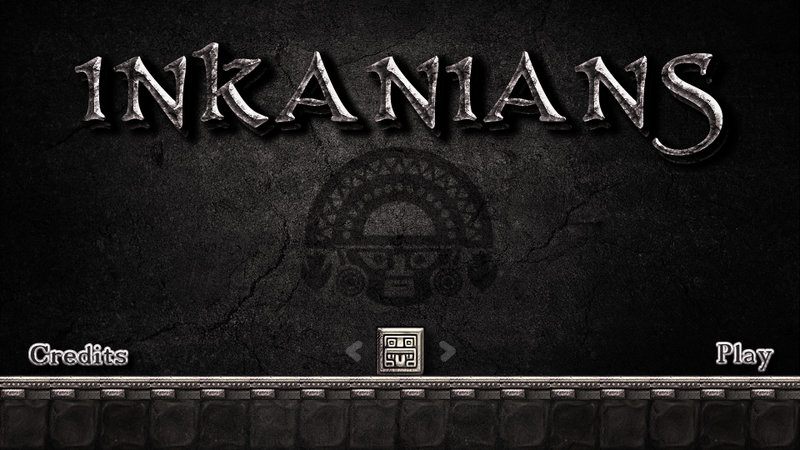 Working on the Title Screen of my side project called Inkanians. Still needs the animated torchs and some minor details but looks promisions, right? What you think? Hope you like it! Inkanians is a side project i’m working now at the same time that Mighty Retro Zero. As you can see a total different style . Inkanians is a puzzle game on control two players at the same time. The basics will be like my first coded game called “Ninja Twins” but the idea is be more accesible/fun, easy, more challeging getting the three stars for each level and maybe some history mode with scrolls to do bigger maps. The game is made using Multimedia Fusion 2 by Clickteam . First, thanks to “Theunlosing Quint” steam user for the idea of a Bangai-O level. This will be one of the Endless level available in the game. Yes, is a bit hard and challenging but also addictive and fun!! The level is inspired on Bangai-O Missile Fury. Here you can see a youtube video: https://www.youtube.com/watch?v=dSlQRd7C1to . This will be my next game, called “Mighty Retro Zero” (provisional name). New levels with an old videogame reference finished, these time = Pang! As you can see the player looks like a minimalistic and pixelated Megaman, and after the Keiji Inafune clone called “Mighty No. 9” well i decide put this name that can be changed in the future. At the moment a first try of GFX. The white vertical line is the “camera” and you need to break the blue icons and walls while the screens scrolls to left.